It's time to kiss away the days of IOU’s! We've all been in the position where we owe a friend, whether it's paying them back for an iced latte or a dinner tab they picked up after you realized you left your debit card in another bag. I've always been the type of person who can't sleep at night whenever there's an "IOU" looming over me, which is why I had a mini-freak-out-session when I learned about The Square cash app, which has taken all of the guesswork out of “getting even” with your besties. Now you can quickly exchange money with friends right there on the spot. The money deposits directly into yours or their bank account. And the best part is, it’s totally FREE between friends using debit cards! Searching for the perfect gift for my parents can sometimes require a combined effort, which is why my sister and I almost always go “halfsies” and now splitting the money is easier than ever. I highly recommend giving it a try. You don’t have to create an account, just download the app and link it to your debit card and you're ready to start sending or receiving! 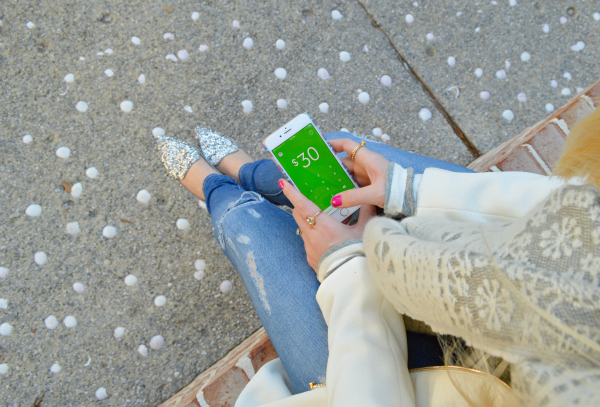 Find out more about the Square Cash App here! Sounds like a really cool app! This app seems pretty cool! We have a similar app in Denmark and I just love it! It's so easy to use and such a brilliant idea! I really love the outfit you are wearing. The coat is to die for! I will have to look into this app!! Loving your outfit..
What an awesome app! I'm great at paying people back immediately, by when I said, when I say I will pay them back... on the other hand, other people aren't always the best at paying back, and it is always awkward when you want your friend to pay you back, but you don't want to ask. Meanwhile... LOVE your look!!! Ivory white in winter is sooo pretty! Loooove your coat, scarf...and those AMAZING flats! 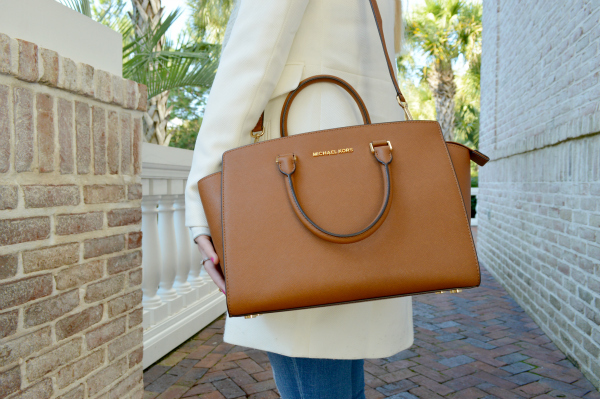 Perfect bag and coat! You have such a great style! I've been using this app for years! It's super convenient to pay my share of the mortgage to my man and to pay for services like my dog walker and splitting meals with friends! Looks divine, I'll have to check it out. Great post! Stylist photo captured . Like your post and so much thanks for shared . يلزم تركيب جسد المطبخ والأدوات الكهربية من قبل المتخصصين أيضاًً، واتباع إرشادات سكون الأجهزة وعدم تشغيلها على الفور أو الضغط عليها.